I sometimes get stuck in a cooking rut. Cooking the same things over and over again, week after week because I know these are the dishes my family will eat. After the success (well, success if you ask me but you’ll probably get a different answer if you ask my husband) of introducing Meatless Mondays, I started Taco Tuesdays. My family loves tacos. Hard shell, soft shell, no shell (taco fixings mixed in a bowl), you name it, they will eat it. But we were getting stuck in the ground beef, ground turkey and chicken taco rut. So, it was time to shake things up. It was time to put the ground beef and chicken away. It was time for a meatless, vegetarian taco that we would all love. So, I went to the store and picked up some fresh, in-season vegetables and went to work. We eat a lot of rice, brown and white rice, and so when I introduced our kids to farro, they didn’t even really blink an eye. Farro is a hearty grain that was a mainstay of the daily diet in ancient Rome. Farro is is high in fiber and a good source of iron and protein. It’s easy to digest, allowing your body to readily absorb all of the nutrients. Farro is an excellent substitution for brown rice and has a delicious chewy texture. The key to these tacos was sautéing everything together in my KitchenAid® 7-Ply Stainless Steel with Copper Core 10″ Skillet. This is definitely my most-used pan in the kitchen, and a must-have for any home cook. The low, gently angled sides not only make stirring and flipping easier, but also help to provide a larger surface area for quickly cooking, sautéing, and searing meats and vegetables. I upgraded these tacos even more by making an avocado crema. 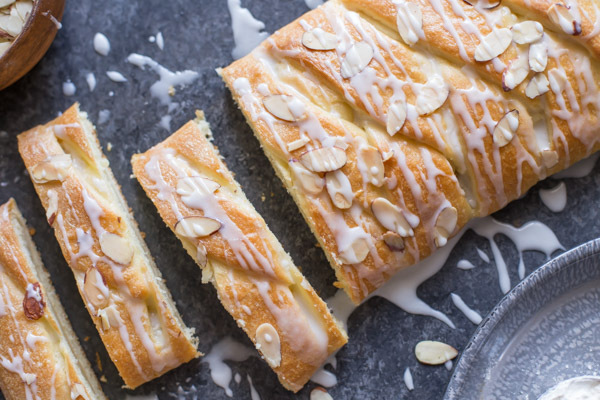 You guys, this crema rocks. This adds such a fresh taste to these tacos and really brings everything together. It’s like a fresh avocado spin on sour cream. 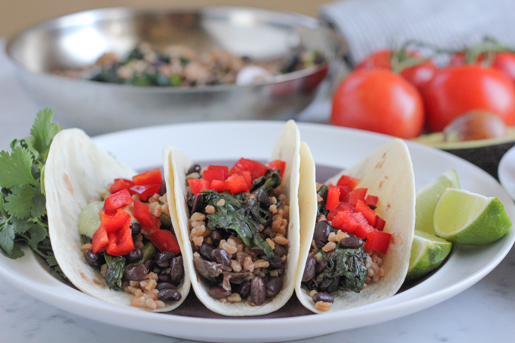 So, jazz up your next Taco Tuesday and give these Veggie Farro Tacos a try! You can skip the avocado crema if you’re looking for a vegan option and just make a simple tomato salsa, otherwise I highly suggest you try the avocado crema. 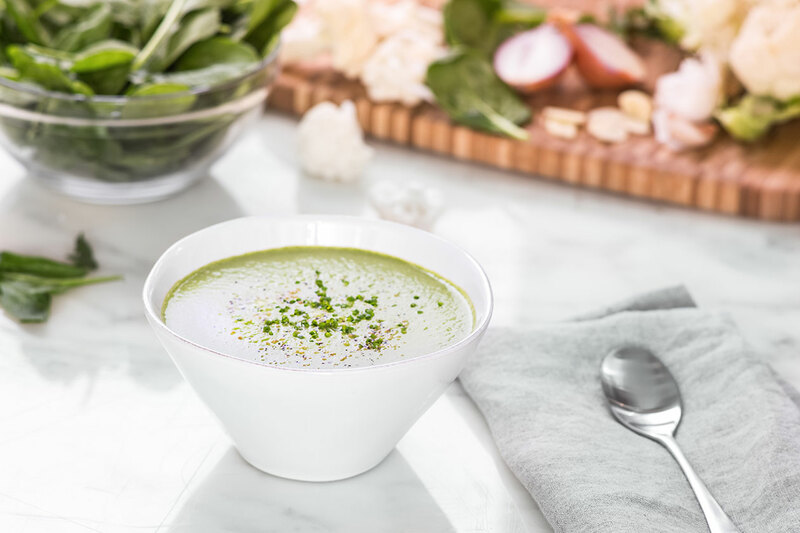 Pulse together the avocado and yogurt in your KitchenAid® Food Processor until smooth. Add in the cilantro, salsa verde, lime juice and cumin and process again for about a minute or so. Season with salt, pulse together again and taste. Adjust any seasonings as needed. 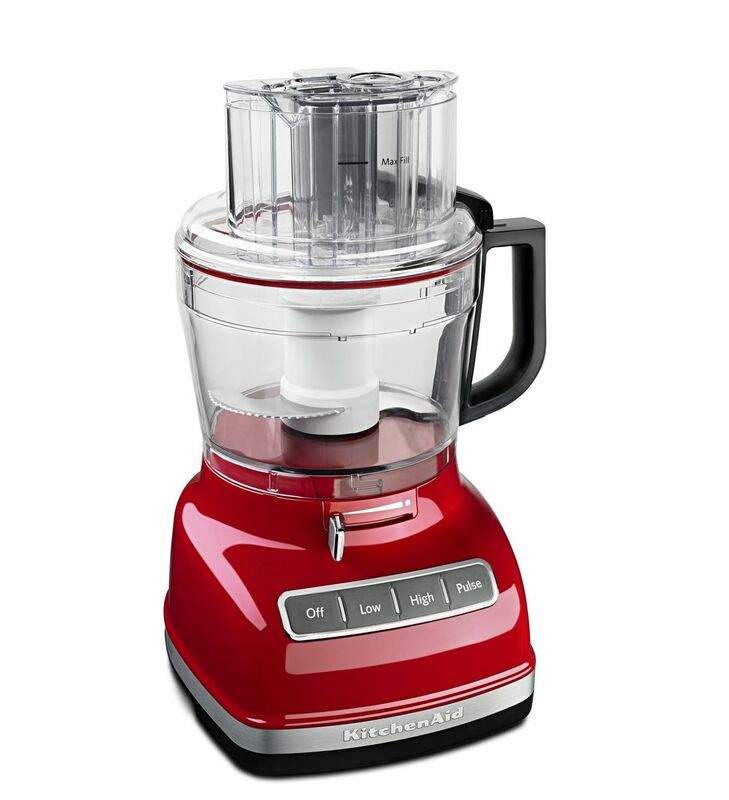 Remove from the food processor and store, covered, in the refrigerator until ready to use. 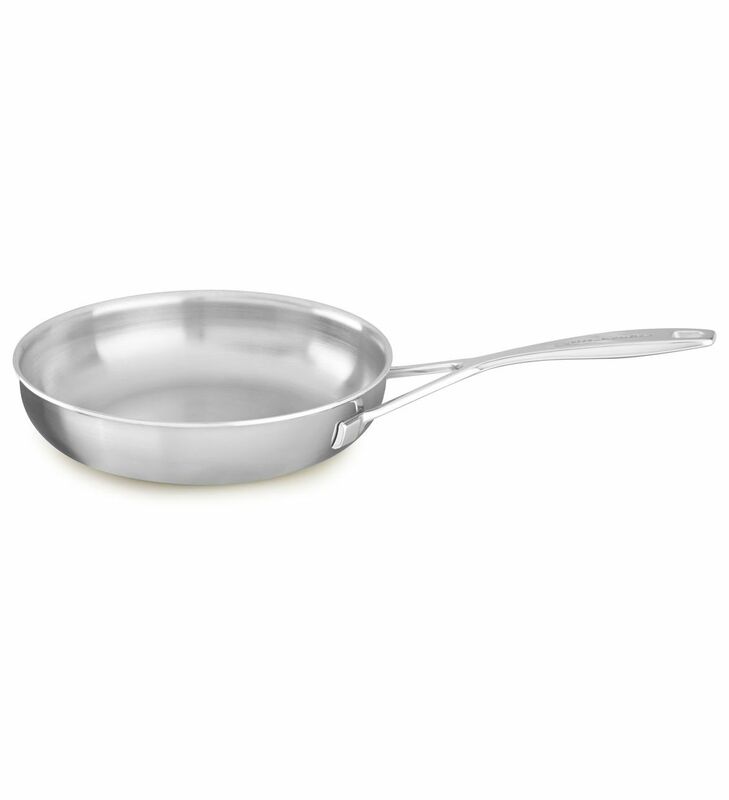 Using your KitchenAid® 7-Ply Stainless Steel with Copper Core 10″ Skillet, heat the olive oil over medium high heat. After a minute or so, add in the asparagus, swiss chard and mushrooms and sauté until the vegetables begin to soften, for about 5 to 6 minutes. Season with salt and pepper. Add in the black beans and continue to sauté until the beans are heated through, for about 3 minutes. Add in the cooked farro, season with more salt and pepper and mix together until combined. Let everything cook together in the pan for another 2 to 3 minutes before assembling your tacos. Top your vegetarian farro tacos with the avocado crema and additional salsa if desired. 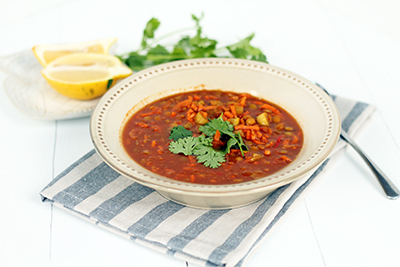 Serve and top with finely diced red bell peppers and/or tomatoes, lime wedges, cilantro and avocado slices if desired. Enjoy the remaining avocado crema with tortilla chips!